Support design any lenticular effects:depth 3d effect,flip effect,zoom effect,morph effect,animation effect etc. Support editing drawline, the line can move, zoom, up, down, cut, pastup and the point can be moved,added,deleted. Support large picture, output file can reach 40GB, the frames up to 999. Support CMYK 4 color,there is no loss when you are printing or outputing. Support 3D puzzles,midline can be aligned automatically,it supports loop pattern. Support loop pattern. Parameters optimized,the operation is more intelligent. Support Output gif animation and anaglyph,it is convenient for clients to see the effect. Support PSD Output,it is easy to make mould. 1,Save 90% manpower, and the quality is 2 times higher.strong lenticular effect,high definition of 3d picture. 3,can make big size photos,suppoted ink-jet printing and Offset printing.Output gif and anaglyph, it is convenient for clients to see the effect. 4,Suported technology of original versions software,the market share is reached 95%.and surport any windows systems. 5,Software patent,(Registered No.2009SR039988) ,latest version,There has something new fuctions,like drawline,save your time to make 3d images. 2) Wholesale price and on time delivery guarantee. 4) All our pictures are under Europe and the United States standard. 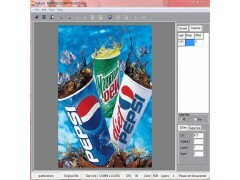 6) Use professional lenticular software that was developed by ourself. 7) The leader of 3d lenticular industry. 8) New technology support, for we have 3d lenticular expert to do new research and development. 9) we can help customer solve any difficult problem of 3D Lenticular Printing, for we also do Lenticular Printing Training.